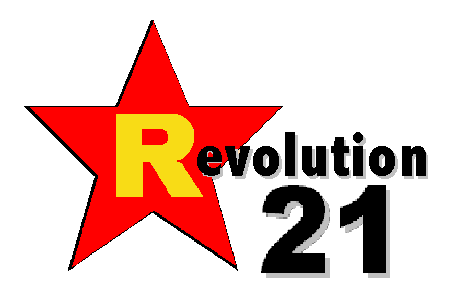 Revolution 21's Blog for the People: That doo doo that he do. . . . Being the self-reliant man of achievement that he is, Rush Limbaugh wasn't satisfied with the new low in misanthropic commentary he reached Wednesday. So he topped himself today. I DON'T KNOW about you, but the fact that the man is allegedly an American -- who actually has American listeners via American radio -- makes me want to learn to say "aboot" and "shedule" so I can pass as Canadian. Maybe radio's Rush Limbaugh was trying to provide the Rev. Pat Robertson with a little cover, when he suggested on-air that people don't need to contribute money to Haitian earthquake relief. It was Robertson who first suggested that the people of Haiti are paying for "a pact with the devil'' made centuries ago. But it was Limbaugh -- at a time when the president is asking Americans to contribute money to earthquake relief and directing them to the White House Website to learn where they can help, as the State Department reports more than $3 million in $10 donations for the Red Cross through its text-messaging network -- who told a caller that all helping out will do is get someone on Obama's campaign email list. "We've already donated to Haiti,'' Limbaugh told the caller on his radio show (here it below) "It's called the U.S. income tax." President Barack Obama today announced $100 million in direct aid to Haiti for earthquake relief. IRONICALLY, if America itself followed the Limbaugh prescription for improving Haiti, we'd probably end up just like "unimproved" Haiti. And "el Rushbo," no doubt, would be our very own "Papa Doc" Duvalier.